Love is in the air and Valentine’s Day is just around the corner. But let’s face it, another holiday so soon after Christmas is not what our bank account ordered. However there are more cost-effective ways to show your love to your significant other. Who says you need to do something over the top? Even the simple flowers and card will be a thoughtful gesture to show your affection to your loved one. Romance doesn’t have to be expensive red roses and chocolates either. In fact the most romantic thing is something that money can’t buy – your time. Why not celebrate with a romantic walk and surprise picnic in the park? 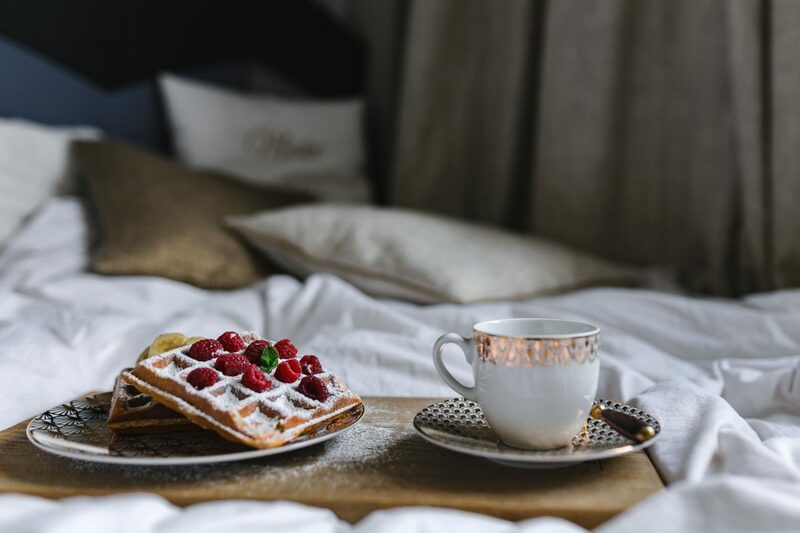 It could also be as simple as making your other half their favourite breakfast in bed. Our anniversary is on the 10th of February which is dangerously close to Valentine’s Day. We actually celebrate both together which works out a bit better, but would be rather expensive if we bought gifts for both! Creating unique handmade gifts is definitely far cheaper and more thoughtful then anything you can buy in stores. I love the ideas from Cosmopolitan, especially the date night ideas in a jar. Crafting your gift will take some more planning, so make sure you allow for time to create it, as well as find a hiding spot if you live together! I love to cook, and luckily my boyfriend loves to eat! So preparing his favourite dinner is usually my go to idea for doing something special and affordable. We both love curry, so I would usually opt to cook up a yummy beef curry. No surprise that recent research from HelloFresh says that curry is the second most popular date night food of choice! Preparing a candlelit dinner at home is not only cost-effective but is one of the most romantic things you can do for your other half. I know what aftershave and cologne my boyfriend likes, he knows what scented candles and perfume I love. But personalised gifts are even more special and romantic. One of the best gifts I got for my boyfriend was one for our second year anniversary, which was a personalised photo album. He loved it! He was genuinely surprised and appreciated how much thought and effort went into it. There are many ways to get your gifts personalised, why not try something a bit different and get them a personalised printed t-shirt or hoodie? I’ve seen a few places offer this in store, but you can also get it done online now. Let’s get one thing straight, Valentine’s Day should be like any other. Which means you should be showing your love and affection for your other half no matter the day! But if you do choose to celebrate Valentine’s Day, get creative and make sure you don’t have to break the bank! We’ll take it slow and just relax! It’s what I crave more than any extravagant event or date – there’s never enough time to just sit, maybe have coffee and talk. And your picture reminds me that I wanted to make pancakes (no waffle iron here, sadly). 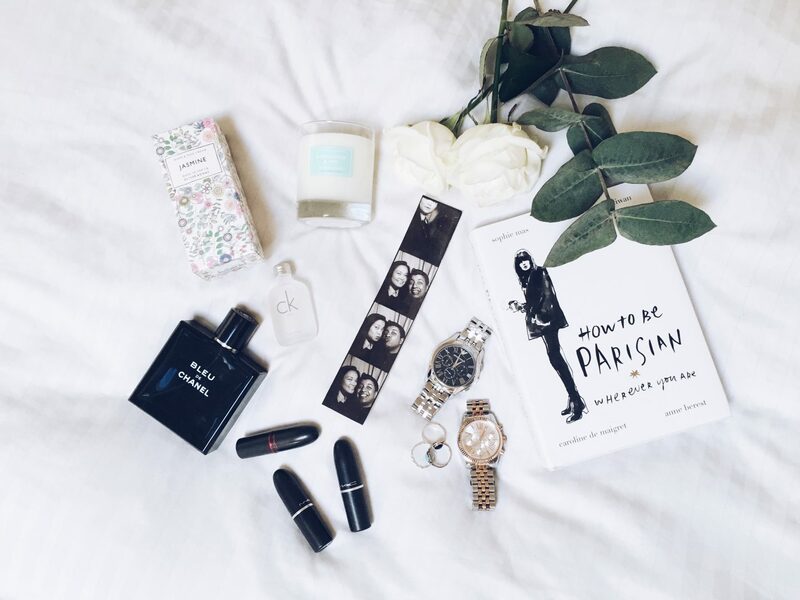 And by the way, I love your flatlay photography with the muted colors and those old-fashioned passport booth pictures! I don’t celebrate Valentine’s day but I loved your post and keep your tips in mind in case I need them one day!